Now if you watched the Transformer movie, you would begin to think, what if there were transformers in reality ? To be clear, there will be one in the future and who else can come up with this project other than the great US military. This humvee will be called the Transformer or TX. 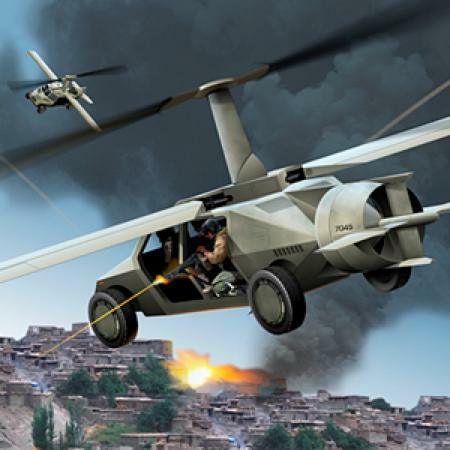 Pentagon’s Defense Advanced Research Projects Agency, known as DARPA sought proposals last year around July/August for a Humvee that would be able to fly over enemy lines, evade road side bombs, conduct night raids and take away the injured soldiers from the battlefield. 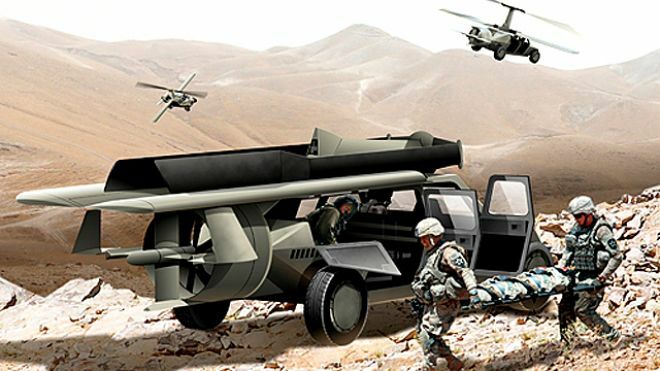 Pentagon selected Lockheed Martin and the AAI Corp, unit of the Textron systems (sounds similar to Techetron) to go with the first stages of the Transformer project. Later on, Terrafugia, the developers of the flying cars joined the game and is one of the largest subcontractor. Terrafugia already has great expertise that they learned from designing the flying car which would be implemented on this humvee too. The budge for this flying humvee ? $65 million. So when do we expect to see this awesome humvee ? Not before 2015. Most of the people, at first sight, thought of a robot which would turn into a humvee. That’s not going to happen at least now. I presume it wouldn’t take long to initiate this program in the future. Mushfiqur is the founder of Techetron.com and loves to keep himself constantly updated with the tech happenings around the world and spends his time investigating the next generation of technology. When he's not in the digital space, he loves reading conspiracy theories trying to figure about the Illuminati and tries to connect the dots with world events. a quick visit the web page, that’s what this web page is providing. Yes Brother, I am aware of that! The enemy would not even ever think this bird as a spy gadget! What a creation! $65 million !! That's hell lota money. Think about the running cost, it will take a lot of fuel to run this one. Hell lota money for us, but a piece of cake for them ! God knows what more projects they have in their mind !